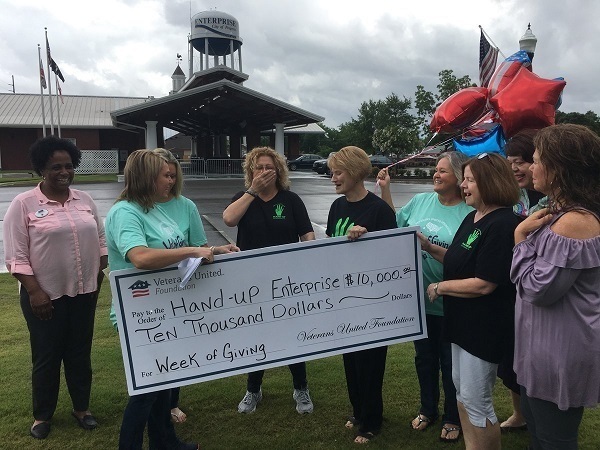 On May 23, 2017 Hand Up was chosen by the Veteran's United Home Loans (Ft. Rucker Office) as one of five non-profit charities to receive a generous donation during their corporate sponsored, "Week of Giving". This donation has covered one-third of our food budget requirements for 12 months. 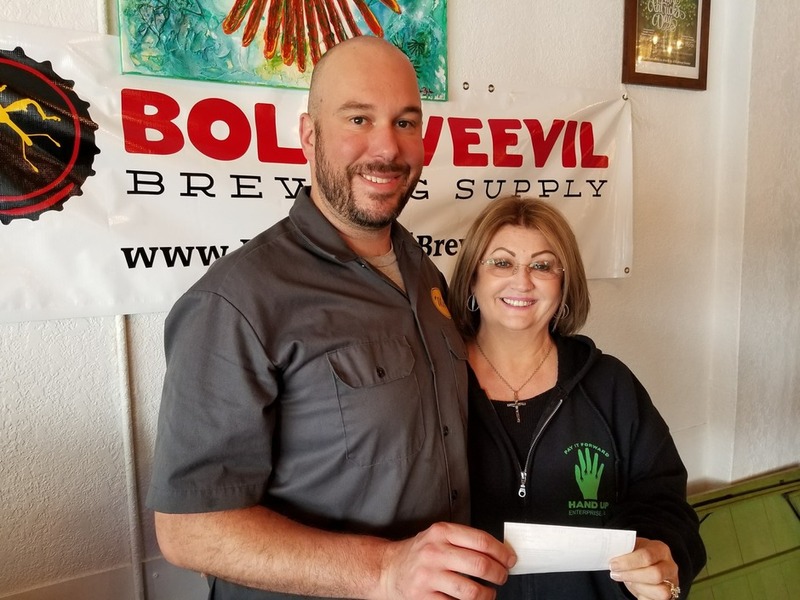 We are forever grateful to have been selected to receive this grant. Thank you Veteran's United Home Loans! 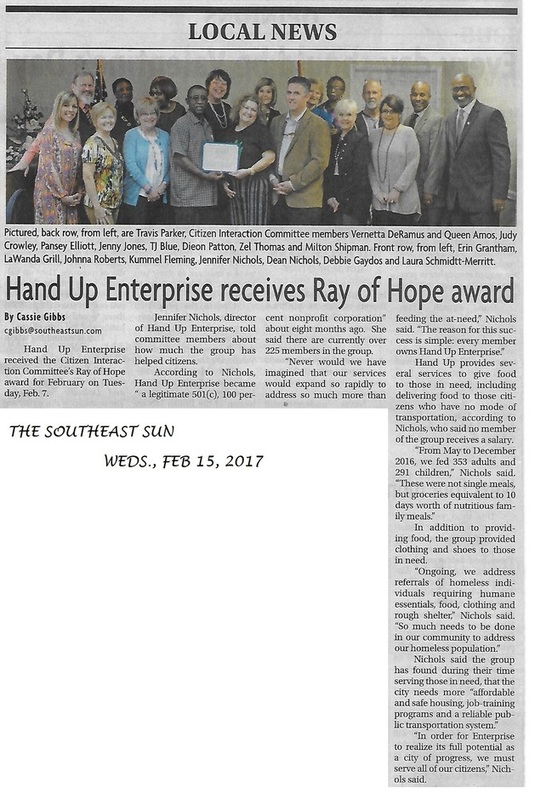 On Feb 7, 2017, Hand Up received the "Ray of Hope" Award from the Enterprise Chamber of Commerce. 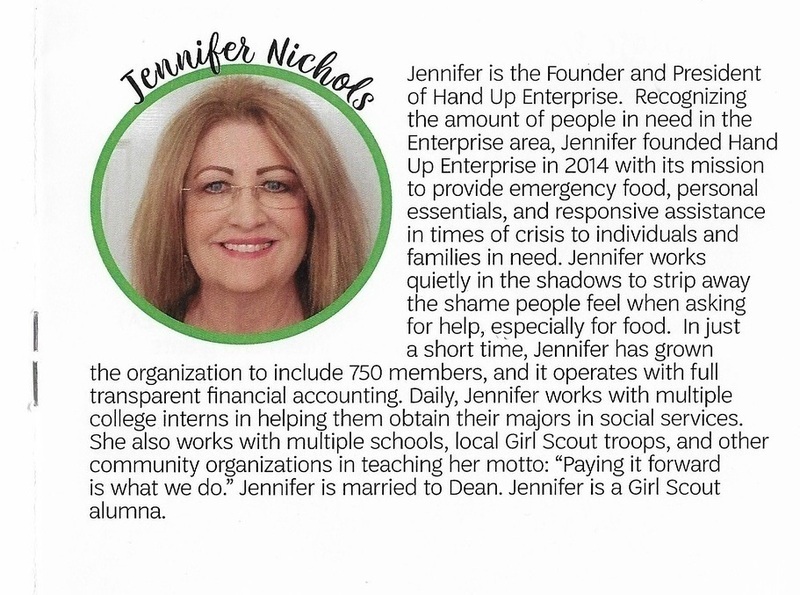 We are honored to be included in the ranks of the very best of Enterprise's philanthropists. 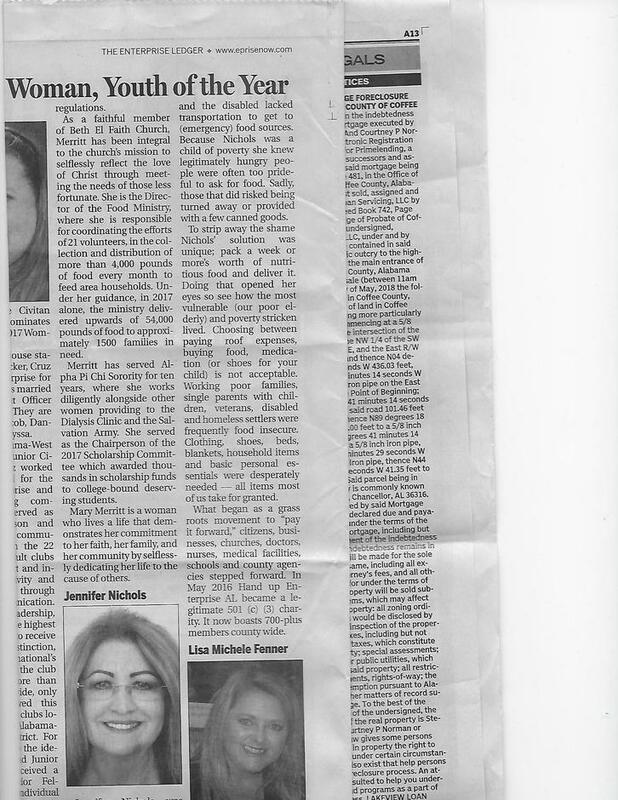 Thank you Chamber! 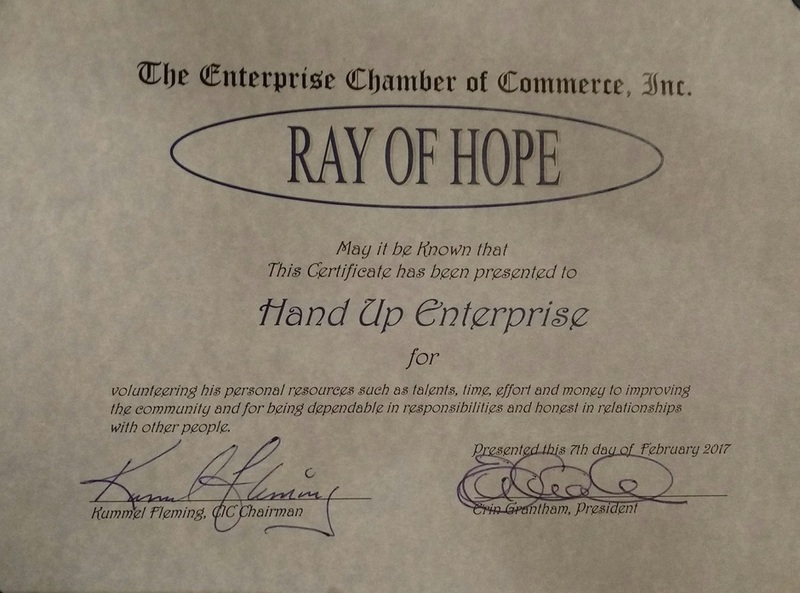 In early June our organization, barely weeks old received notification of our nomination for the 2016 Roslyn Jaffee award. 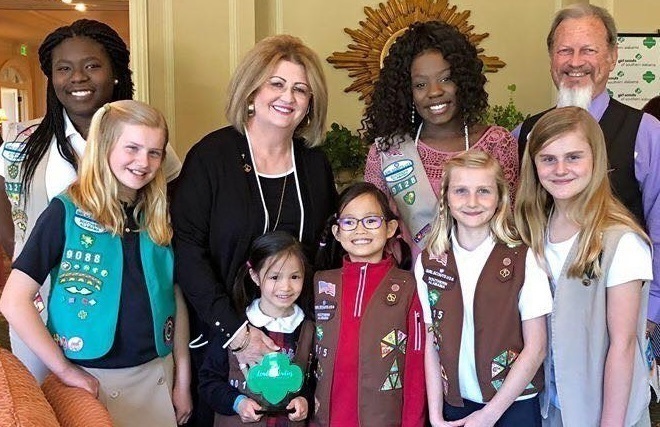 Roslyn S. Jaffee is the Co-Founder, Secretary and Director Emeritus, of Ascena Retail Group Inc.. On September 27, 2016 the winners were announced and Hand Up Enterprise AL did not make the cut. 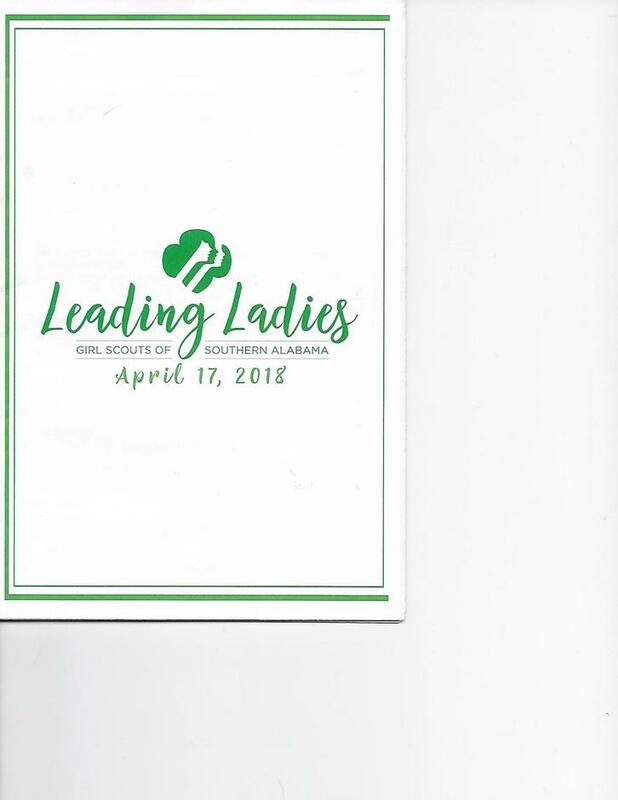 However it was not for the lack of enthusiasm of our organization but more so the minimal financial reporting we could offer due to our infancy. Next year we shall be a much stronger contender for this award. We continue to pursue awards and grants to subsidize our cause.